Welcome to the November 6, 2011 edition of leadership development carnival! There's no theme this month, no cute nicknames, no commentary, just a straightforward list of 45 of the best posts submitted for your reading pleasure. 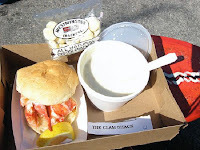 Actually, it's supposed to be a beautiful Fall day here in New England, and the Carnival host is anxious to head over to the Maine seacoast for some seafood with Mrs. Great Leadership, so something had to give. The fried clams won. I've had readers ask "Why so many? Could you pare it down for us?". I actually do, the ones that make the cut are all relevant, recent, and looked interesting to me at least - about 50% of the submitted posts on average. I always include the regulars, those that have been submitting posts for years and I know they will come for us. With each edition, there's always a handful of new contributors, and I like to give them some exposure. Honestly, I don't expect most readers would ever try to read them all. It's meant to be more of a menu - organized in a way that you can pick and choose based on author, blog name, subject title, and a "teaser" line if the author provided one. Hmmm, do I go for the clam strips, the lobster roll, chowdah, or all three? When in doubt, try 'em all! and next month's host, Kevin Eikenberry, presenting Four Steps to Making a Complex Decision posted at Leadership and Learning with Kevin Eikenberry, saying, "As leaders, we need to be decisive and forward-moving. This post offers four steps you can try when making a complex decision." Anne Perschel presents Bold Because You Can Lead. Humble Because You Did Not Create the Leader posted at Germane Insights, saying, "Can a leader be bold and humble at the same time? I think so. In fact, I think it's what's called for. Here's why and how." Gwyn Teatro presents How to Make Performance Appraisals Unnecessary posted at You're Not the Boss of Me. Tanveer Naseer presents Are Your Employees Mad As Hell and Not Going to Take It Anymore? |posted at TanveerNaseer.com. Wally Bock presents The Joy of Helping posted at Three Star Leadership, saying "The best bosses revel in helping others succeed". Mark Stelzner presents Two Easy (And Legal) Ways to Gather Competitive Intel posted at Inflexion Point. Michael Lee Stallard presents Develop the Heart of a Champion posted at Michael Lee Stallard. William Matthies presents Instead, How About . 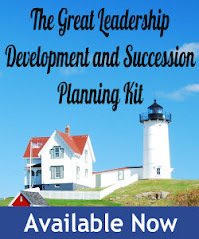 . . posted at Business Wisdom: Words to Manage By, saying, "Part of executive development is recognizing the development that has already occurred." Guy Farmer presents Soft Skills Training and Foundation Building posted at Unconventional Training. Jennifer Miller presents Tag-Team Workplace Coaching posted at The People Equation saying "This is a story that shows that sometimes the best workplace coaching comes from someone other than a person’s boss". Janna Rust presents Procrastination and Productivity posted at Purposeful Leadership, saying, "What are you procrastinating with right now? Have you ever thought about how it affects you? Read on to learn how procrastination might be killing your productivity." John R. Turner presents Lewin and Historical Traces to Change Management posted at JohnRTurner_HPT_resource. Linda Fisher Thornton presents Leaders & Social Media: 5 Reasons to Engage posted at Leading in Context LLC. Bob Lieberman presents The Can-Do Attitude posted at Cultivating Creativity – Developing Leaders for the Creative Economy. Jesse Lyn Stoner presents Be the Boss You?d Like to Have posted at Jesse lyn Stoner Blog. Jim Taggart presents The Rise of Tiger Business Women posted at ChangingWinds, saying, "At present rates, it will take about 150 years before women and men are equally likely to reach middle management. And a century and a half is an eyeblink compared with the eternity it would take to achieve this benchmark in senior management"
Mike Henry Sr. submitted Leaders: Your emotions are contagious - Lead Change Group posted at Lead Change Group Blog, saying, "Author Christina Haxton makes a great case for how a leader's emotions affect the entire team. She also provides a practical 4-step process to make a change in your attitude." Bret L. Simmons presents Inner Work Life posted at Bret L. Simmons. Mary Jo Asmus presents Letting Go of Your Need to be Right posted at Mary Jo Asmus. David Burkus presents Freedom to Fail posted at LeaderLab, saying, "this post explores how good leaders give their team freedom to fail." Sharlyn Lauby presents Abdicating Your Leadership Role posted at hr bartender, saying, "There's a big difference between delegating and abdicating." Jane Perdue presents Go ahead - try something new! posted at Get Your Leadership BIG On! Ben Brabyn presents Leadership as storytelling - how narratives bond teams posted at Ben Brabyn, saying, "How leaders can use storytelling to bond high performing teams." Guy Harris presents Three Power Phrases to Disarm a Verbal Aggressor posted at Guy Harris: The Recovering Engineer, saying, "How do you respond to coworkers or colleagues when they are verbally aggressive? Here are three phrases that might help." Heather Stagl presents Six Roles of a Leader During Change posted at Enclaria LLC. Michael Cardus presents Planning; Nothing Magical Just Your Work posted at Create-Learning Team Building & Leadership Blog, saying, "Within all parts of your work YOUR knowledge and thinking must be part of the plan. No technology or rote process can give you the “correct” plan – BUT a solid process for planning can guide you to the best plan for your team and you. A plan is a judgment about the best way to go about achieving an intended goal." John Hunter presents Rethinking or Moving Beyond Deming Often Just Means Applying More of What Dr. Deming Actually Said posted at Curious Cat Management Improvement Blog, saying, "This post takes a look at how Dr. Deming's ideas apply to management issues today." Eric Pennington presents The Role of the Corporate Rebel posted at Epic Living - Leadership Development Career Management Training Executive Life Coaching Author, saying, "In this post, Eric Pennington, articulates the importance of the corporate rebel and how they should be imbraced. The post also points to the brilliant work of Lois Kelly." Miki Saxon presents Entrepreneurs: Responses to “What Do You Say?” posted at MAPping Company Success, saying, "Longer term focus or more expedient approach? Although participants were all startup founders the discussion and conclusions are applicable to any manager who hires." David Zinger presents The 10 Things Managers Must Do to Increase Employee Engagement posted at Employee Engagement Zingers, saying, "Very popular post on 10 actions based on evidence that managers can take to increase employee engagement"
Nick McCormick presents Managers, Brainsteer Your Way to Breakthrough Ideas posted at Joe and Wanda - on Management, saying, "Managers are always on the look out for new ideas. Shawn Cyne, Author of Brainsteering, tells us to forget the brainstorming. It’s much more effective to direct our creative energy by Brainsteering. Listen in to the Management Tips podcast find out more." Adi Gaskell presents Keeping in touch with ex companies posted at Adi Gaskell says..., saying, "An article on the importance for both ex-employees and their previous employer of keeping in touch through corporate alumni networks." Erin Pavlina presents How To Handle Public Criticism posted at Erin Pavlina - Spiritual Wisdom for Conscious People. Utpal Vaishnav presents Know how to walk first, running comes later. posted at Utpal Vaishnav, saying, "If the piece of music isn’t right, it doesn’t matter what else you do, you cannot perform in the live show. Practice matters. More important is: right kind of practice." Dana Theus presents Business Leaders – What Don?t Your Employees Tell You? posted at Reclaiming Leadership, saying, "If you're not hearing the truth from your employees, who are you hearing it from? To get them to speak the truth, be willing to hear it." Lahesha Williams presents 8 Tips on Improving Your Chances for a Promotion posted at Career Help For Christians, saying, "It's never too early to think about promotion. In today's job market you need to be ambitious and driven if you don't want to get pushed out by others who spot gaps that could have been filled by you." Lakshman Rajagopalan presents What can you do about a culture of Mistrust… posted at Learning Curves. Lyn Boyer presents Healing the Wounds of Change posted at LynBoyer.net, saying, "this blog deals with what leaders can do to recognize and deal with fear of and resistance to change." Henry Mukuti presents 5 Qualities of leaders and motivators part 1 posted at standout tall and be counted. Sean Glaze presents What Emergency Brake Does Your Team Need To Let Go Of? posted at Lead Your Team, saying, "Team leadership Involves helping your team to identify the baggage that they need to let go of in order to become more productive together..."
Lisa Kohn presents There is no try, only do. There is no do, only be. posted at The Thoughtful Leaders Blog, saying, "How many of us have heard, "There is no try, only do"? Lisa Kohn of Chatsworth Consulting Group adds one more element to that famous phrase and talks about the importance of "BE" instead of "DO"." Rebecca Kearley presents This assault on workers rights will kill innovation | Professional Manager posted at Professional Manager. Anadi Upadhyaya presents Is there a magic pill to fix behavioral issues at work? posted at TalentedApps, saying, "Just having a right prescription is not enough until you put it into action." Nick Thacker presents Productivity 101: Every Time You Sit Down, Make Something Happen posted at Nick Thacker, saying, "A simple concept for getting more done in the day-to-day life of a business professional." That concludes this edition. Submit your blog article to the next edition of Leadership Development Carnival using the carnival submission form. Past posts and future hosts can be found on the blog carnival index page. Wow this is a great list. I am always looking for more great leadership content to follow! I was not surprised to find Bret Simmons on the list. He is a highly regarded professor and continues to influence my leadership abilities on a weekly basis. Great post! Thanks for this list. Some of them have really good content. I am looking forward to reading more. Thanks again! Thanks, I agree, Prof. Bret rocks. Some very good posts. I really like the diversity of topics. Thanks.